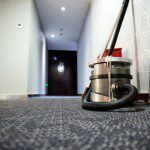 Residential Floor Cleaning in Orlando, FL | Proclean Properties Inc. 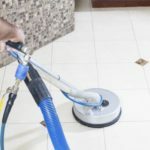 Residential Floor Cleaning in Orlando, FL | Proclean Properties Inc.
For Residential Floor Cleaning Services in Orlando, FL, Call Us at Proclean Properties Inc. Carpet Cleaning – We offer two levels of service for your carpets. The first level is for minor stains, and the second level is for heavily soiled carpets or areas with a lot of spots and stains. 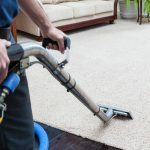 A good reason to hire us to clean soiled and stained carpets instead of trying to clean them yourself is because leftover carpet cleaning solutions that consumers purchase can act as a magnet for dirt and decrease the air quality in your home over time. Our exclusive green, zero-residue solution is of the highest quality and will effectively remove spots and stains while maintaining good air quality in your home. Tile & Grout Cleaning – Dirty grout is something that is inevitable in any home, no matter how well you clean and mop your tile floors. At Proclean Properties Inc., we are Orlando, Florida’s leaders in tile & grout cleaning because of our two-step process, which uses a state-of-the-art vacuum and high-pressure rinse that is safe for all ceramic and porcelain tiles. First we mop the solution onto the floor with our green-sealed solution that is not harmful to stainless steel appliances, carpets, wood floors or furniture. Then we use special tools to clean each and every grout line, getting it back to its original look. The second step of our process is using other tools to clean the tile and grout. Grout lines are normally the dirtiest part of the floor, which is why we double-clean these areas. Kitchen & Bathroom Tile and Grout Cleaning – Only $100! 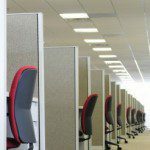 Make your commercial or office space a welcoming place for customers and employees. Book your appointment today! Get professional cleaning at very affordable prices!